The legend says that when José Álvaro Osorio Balvin started his career, he would pretend to be his own manager when answering the phone. To fast forward to 2018 and Vibras, the album that has managed to break streaming records while captivating the press, would be slightly unfair. J Balvin has not become a world ambassador of latin music from night to day. Four albums, specially 2016’s Energía, already positioned him as the genres most innovative mind, for taking the genres essence and connecting it to the whole world. Everything has eventually hatched with Vibras, reggaeton and global pop all in one, a homogeneous journey that includes both interludes and a vast collection of hits, a masterpiece of genre and fusion for newcomers, where latin rhythms dress in exquisite R&B, experimental pop and dancehall suits. An album by the figure that can collaborate with Cardi B (I Like It) as well as Nicky Jam (X) for 2018’s soundtrack. 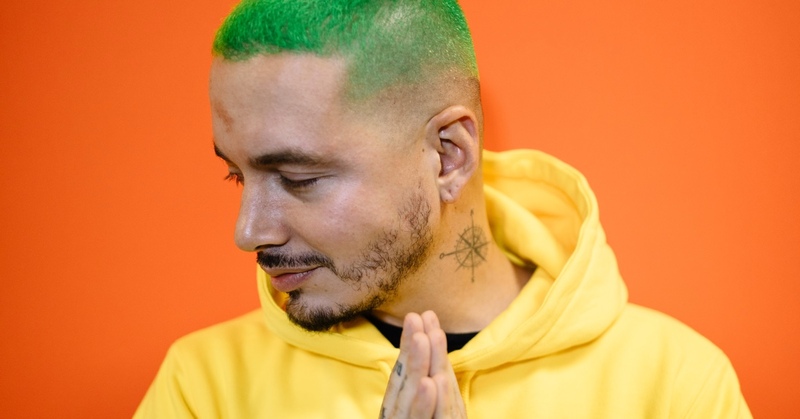 J Balvin, the man that celebrates the collectivity behind reggaeton (Mi Gente), that reminds us “to not be evident” (Tu Verdad), that has three of today’s best female voices on his album (Carla Morrison, Anitta and, of course, Rosalía) and that, most of all, seeks to expand ‘el perreo’ as a form of liberation. J Balvin, the man that bonds worlds. Y se baila así.